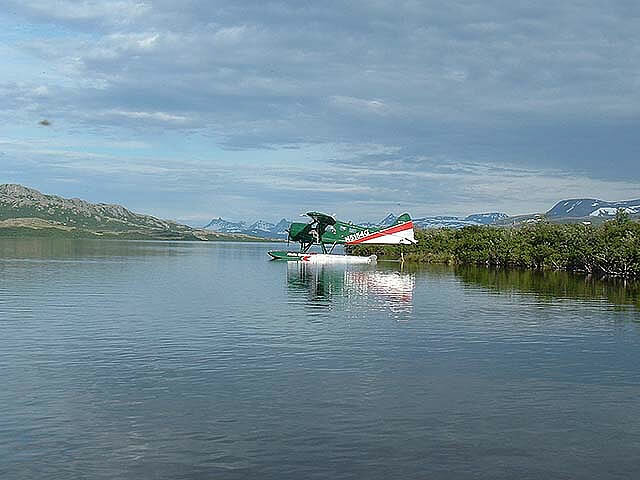 The Kvichak is a swift flowing crystal clear river located approximately 250 miles southwest of Anchorage. 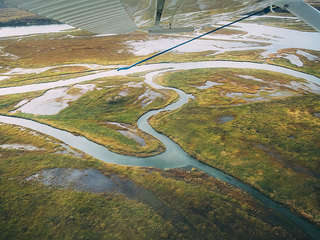 This river is the only connection between Lake Iliamna and Bristol Bay. 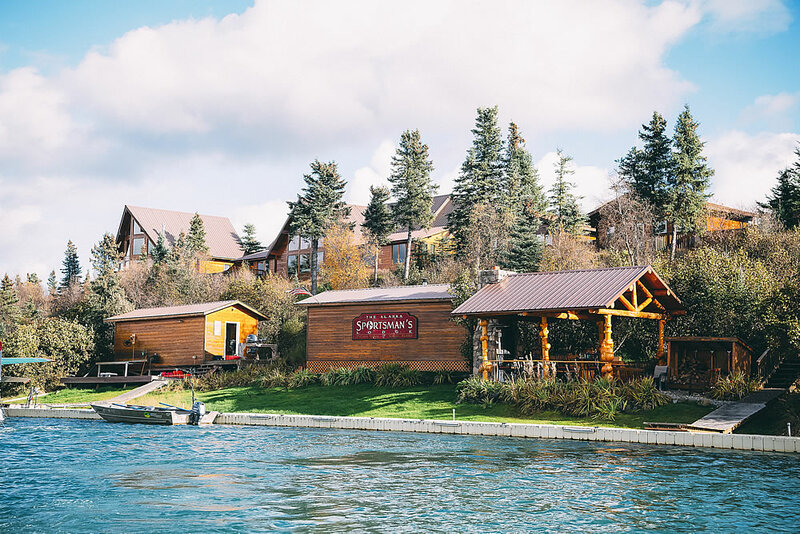 The significance of this is that all of the millions of Alaskan salmon that return each year to the Lake Iliamna drainage must pass in front of our lodge. 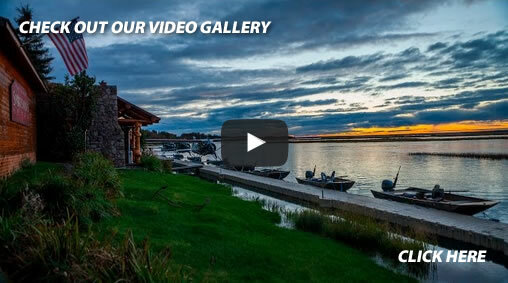 That makes for some unbelievable fishing opportunities right out your front door. During June, shortly after the ice goes out, the sport fishing season in the Bristol Bay area opens. The first part of June is excellent for exciting rainbow Trout, Arctic Grayling, and Northern Pike. The average Rainbow is between 22”-26”. There is plenty of excitement as the fish are very aggressive after a long winter with little food. This is an excellent time for dry fly fishing. 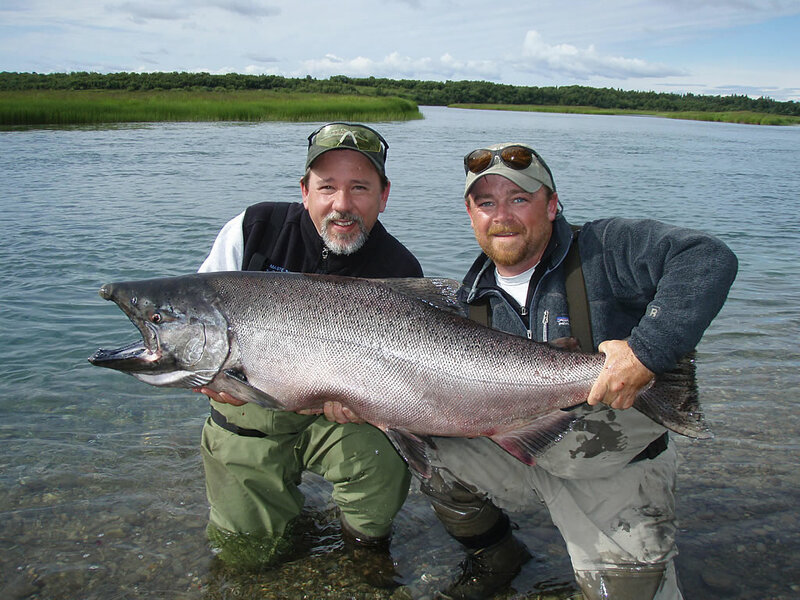 The mighty King salmon begin to arrive in their native rivers about June 15. 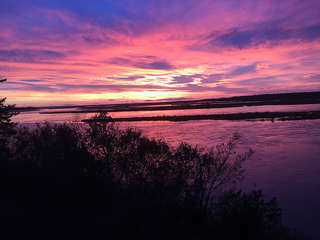 Anglers visiting us at this time of the year will have a combination Rainbow Trout and King salmon trip. The Kings average between 25 and 30 pounds. 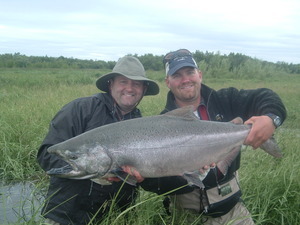 It is not uncommon for a guest to land ten Kings in one afternoon. 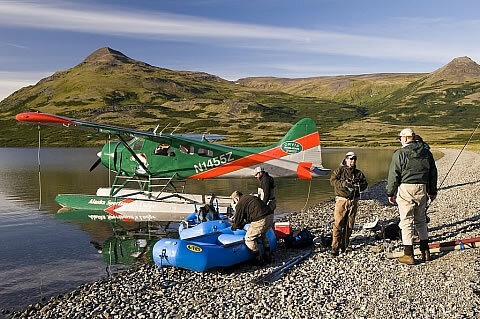 It is necessary for us to fly from Alaska Sportsman’s Lodge to a different river for the Kings. We have three different rivers that we target kings on. The flight is a short distance and is included in your package. 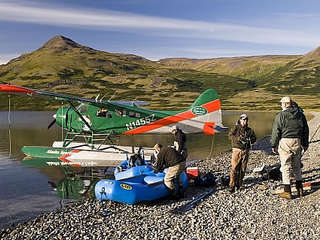 You will return to the lodge and still be able to fish back on the Kvichak that same day. King fishing stays good through the end of July. 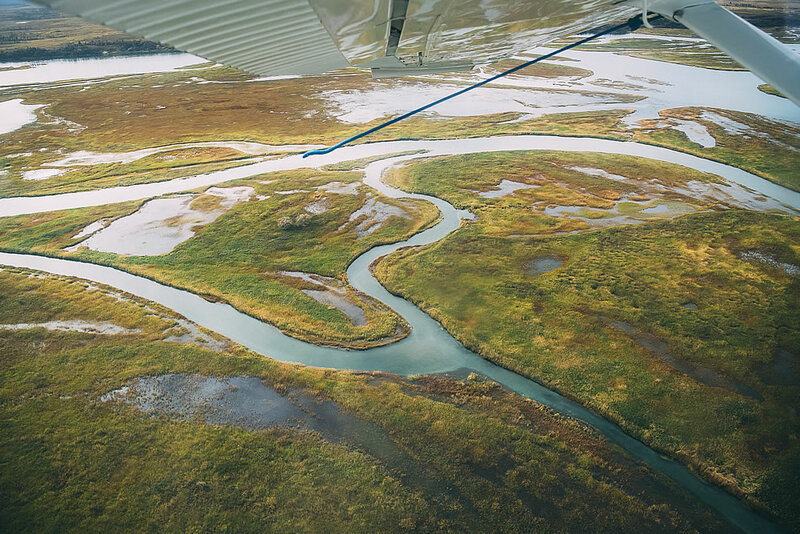 During the end of June and through July, the Kvichak becomes the passageway for sockeye salmon to instinctively return to their spawning beds throughout the Iliamna drainage. 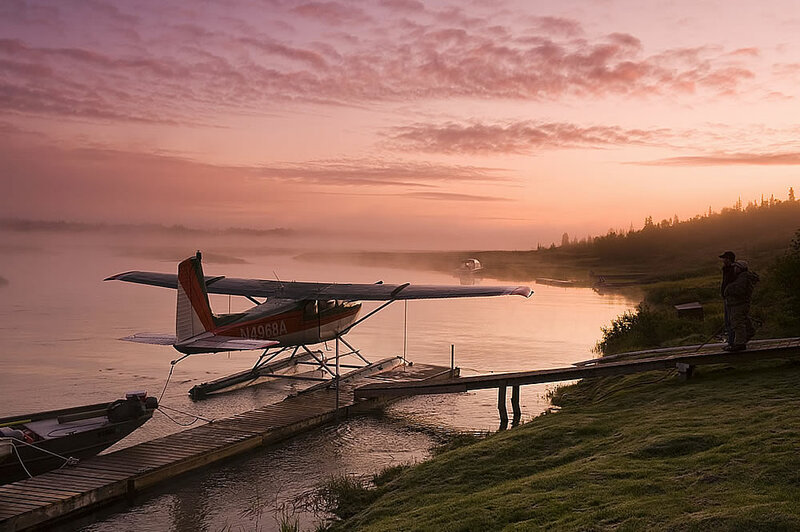 Millions of sockeye pass right in front of our luxury Alaskan fishing lodge each summer. 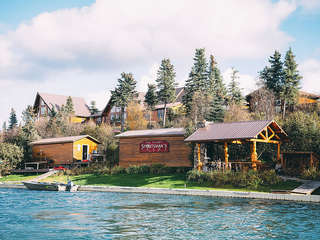 At the peak of the run, there are approximately 30,000 fish per hour passing in front of the lodge. These fish are fresh in from the ocean, are dime bright, and put up a spectacular fight once hooked. 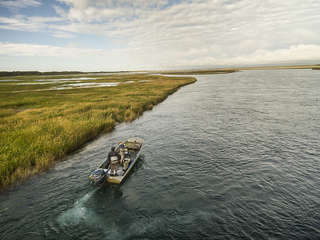 Next to arrive on the rivers are the silver, chum, and pink salmon. These fish show up around the first of August. 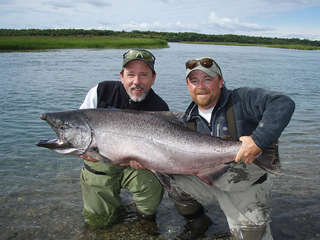 Silver salmon fishing is very exciting and many anglers prefer silvers to all other salmon because of their hard strikes and many long runs with spectacular tail dances. 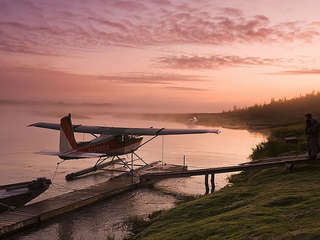 Chum and pink salmon, although not prized like the kings, sockeye, and silvers, offer a very enjoyable sport fishing experience.Beginning in August and going through October, the rainbow Trout return to the Kvichak to stock up for the long cold winter. This is our “Trophy” time of the season on the Kvichak River. It is important to know that we have tremendous fly-fishing opportunities for rainbow Trout throughout the entire season. In fact, we have 10 different rivers that offer some of the best fly-fishing opportunities in the world during July and August. 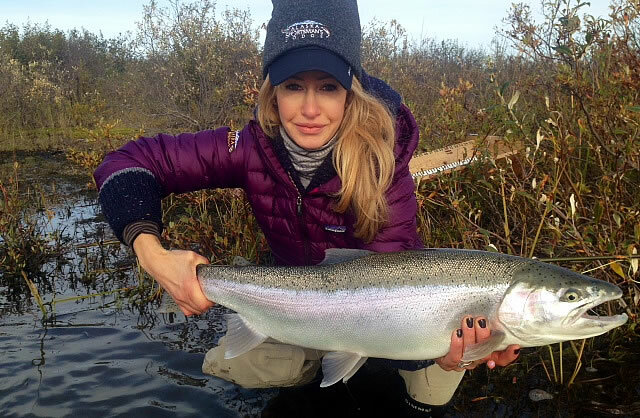 The rivers we sit closest to happen to hold an abundance of 28 – 30 inch and larger rainbows. These prized fish will quicken your pulse, as they make run after run as you try to land one. They are pound for pound the best fighting sport fish in the world. If you want to catch a true trophy rainbow at any time.